For the last season of Space Ibiza, Italian duo Tale Of Us front Thursday evenings. They'll be presenting their party Afterlife, from July through till September. The weekly party will showcase Tale Of Us' own label Life and Death, with support from Innervisions leading man Dixon, and Dystopian boss Rødhåd bringing their imprints and associated acts to the club on the Balearic island. 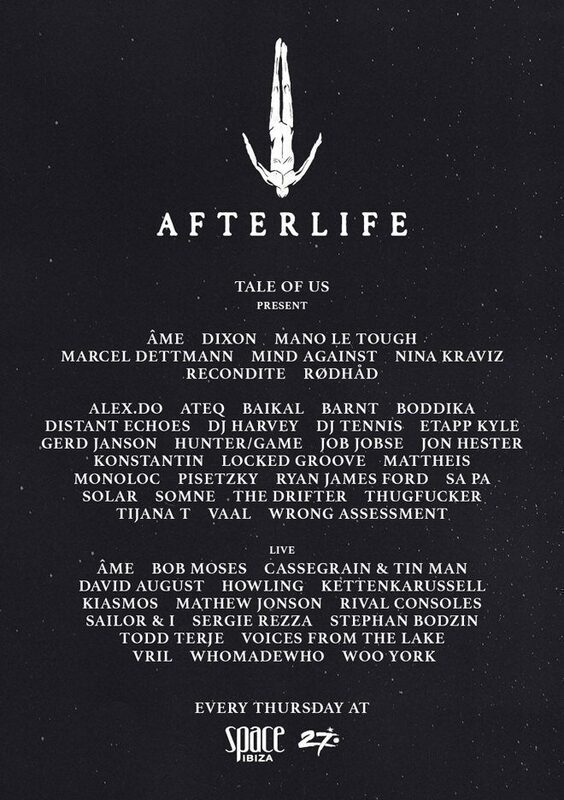 Afterlife's stunning line-up is now complete with the latest additions, including Gerd Janson, Job Jobse, and Mathew Jonson. They join the already announced acts such as Nina Kraviz and Recondite. Plus Todd Terje and David August who will bring their live shows over to the Sunset Terrace.